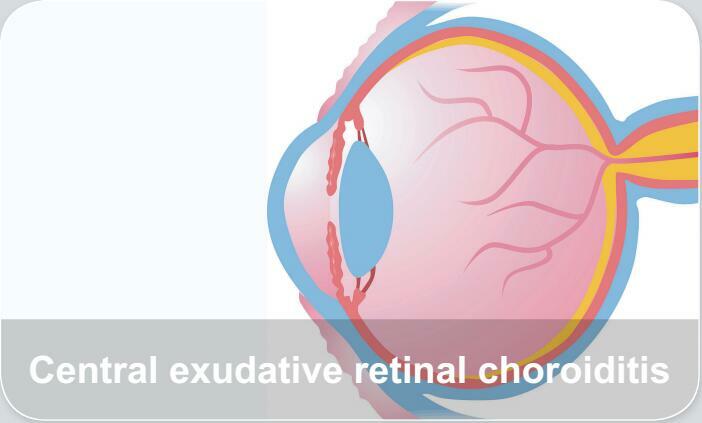 Central exudative retinal choroiditis is also known as Rieger central retinitis and youth hemorrhagic macular degeneration. This disease occurred in the macula and its surrounding arc choroidal retinal lesions, with subretinal neovascularization and hemorrhage, which is not uncommon in clinical. The main symptomas include vision loss, central scotoma and metamorphopsia.